The 2M alliance is to phase in six more ultra large container vessels (ULCVs) into its 10 Asia-Europe service strings from next March in an endeavour to improve schedule reliability, which it said had been blighted by bad weather and terminal congestion. However, the weekly capacity offering will be unchanged due to the implementation of further super slow steaming on the tradelane. 2M partner MSC was especially critical of the part that container terminal hubs have played in the industry’s deteriorating schedule reliability. 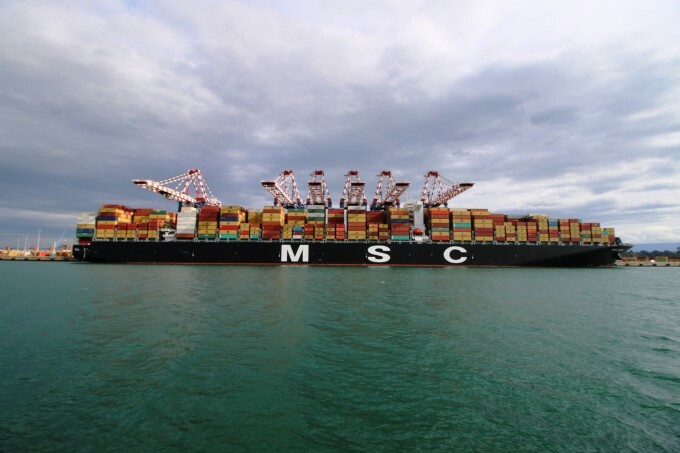 “We can only assume that container terminal congestion at the main ports of the trade will continue to worsen, leading us to anticipate and incorporate longer time buffers in the schedule, in terms of port stays and speed at sea,” said MSC. Indeed, at the beleaguered UK port of Felixstowe, which is still suffering disruption following a terminal operating system upgrade in the summer, The Loadstar has learnt that shipworking is still only achieving around 15 moves per hour – well below the levels before the software update. However, one terminal operator source The Loadstar spoke to today turned the blame on carriers for their “cavalier attitude” to scheduling. Not only is the 2M adding six more ships to the network, but it is also dropping eight port calls which it said would be achieved with “minimal impact to product offerings” by suspending duplicate calls and offering “competitive” transhipment. Maersk Line conceded that the improvement in schedule integrity came at the cost of “slightly prolonged” transit times. “To meet our customer’s increasing need for reliable cargo delivery, we have reviewed our service network and identified additional time to recover from the potential delays we continue to face from bad weather and other external factors,” said Johan Sigsgaard, head of Europe trade at Maersk. No details of the extended transit times of the rejigged network were published by either Maersk or MSC, and they said the itineraries remained “subject to further updates”. Notwithstanding the reliability issues, the 2M’s strategy achieves two additional goals – deploying surplus tonnage and preparing for the advent of IMO 2020, when in particular Maersk’ ships will be required to consume the more expensive low-sulphur fuel and possibly prompting even slower steaming to conserve bunkers. The 2M reactivated its AE2/Swan loop earlier this month after it had been suspended at the end of September. Meanwhile, Alphaliner’s analysis of the revamped THE Alliance network said that its new combined FE1/PS1 Asia-North Europe-US West Coast pendulum service is expected to remain the only alliance loop on the Asia-North Europe route deploying tonnage of 10,000 teu and below. The consultant also noted that THE Alliance’s revised PN2 transpacific service will offer the first direct North Vietnam-US connection. Depending on the development of the US/China trade war, and the possibility of shippers looking to redesign supply chains, the direct connection could give THE Alliance carriers a marketing advantage.